After months of a sustained offensive by America’s business lobbies against India’s patent regime, much of it based on a willful misrepresentation, comes sweet relief from one of its ivy league institutions. The Yale Global Health Justice Partnership has just released a policy paper which recommends the use of human rights to improve access to medicines by reducing the barriers that intellectual property (IP) laws create. The partnership is an initiative of Yale Law School and Yale School of Public Health which works on complex interdisciplinary health justice challenges and provides the necessary research to help drive what it terms “the social change necessary for improving the health and wellness of people around the world”. The report, released early September, is a direct challenge to Big Pharma and the US Administration, which are perpetually pushing developing countries to adopt IP laws that go way beyond the globally accepted norms on IP protection. In a direct challenge, report offers a simple guide: four strategies to fight the oppressive IP rights regime of pharma giants. 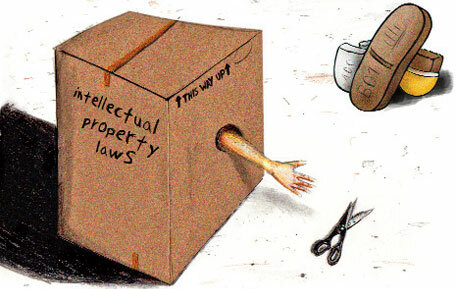 The Yale report titled, ‘A Human Rights Approach to Intellectual Property and Access to Medicines’, advocates the use of human rights doctrines and arguments at the global and domestic level to challenge IP laws that undermine health. It evaluates four domains where such strategies would have greater impact: in domestic court cases that deal with IP laws; in the UN human rights system; in efforts to promote corporate accountability with drug companies; and in multilateral and regional alliances aimed at opposing free trade agreements (FTAs) that threaten health outcomes. For the pharma industry this must prove particularly galling since the Yale researchers find the arena of its defeat the most promising way ahead. That is, the use of domestic courts more effectively to enforce health rights. The report lauds courts across the world for “beginning to understand that IP rights cannot be interpreted and protected in a vacuum; they must be read co-extensively with other, more fundamental rights, such as the right to health”. Wellknown international lawyer and IP expert Carlos Correa who endorses the report explains that human rights are becoming a concrete and effective tool to mitigate the impact of IP rights in the area of public health. The Yale report makes no bones about what it is proposing. “We recommend that activists prioritise the pursuit of human rights arguments in IP-related court cases at the national level. We consider this to be the most promising of the four approaches we have considered, with the greatest likelihood of providing real results for access in the near future. The second section of the 73-page report considers a number of international human rights treaties that have a bearing on access to medicines and lists the various steps taken by UN human rights bodies to develop law at the intersection of health-related rights and IP. The third section engages with the question of corporate accountability. Noting that pharma companies have traditionally rejected the notion that they have obligations under the right to health, in part because the international human rights system has not historically considered corporate actors to be directly governed by human rights law, it points to some openings for health activists. One such is the emergence of the Working Group on Business & Human Rights that would allow access to medicine activists to mount more effective campaigns. But this is far from being a radical call to arms. Most of the prescriptions in the report are drawn from campaigns that have been under way in Asia, Africa and Latin America for over a decade. And, in India, at least, the courts have interpreted health rights based on the directives contained in the patent regulations and the constitution. The judgements have not been the outcome of any directed litigation strategy, grand or otherwise. But Hannah Brennan, one of the co-authors, hopes the report will help activists and lawyers to make more effective use of human rights law to improve access to medicines. We hope so, too.